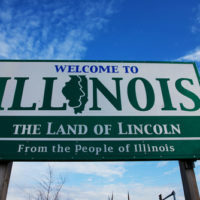 A recent report finds that the Northern District of Illinois is the site of the highest rate of bankruptcy filings nationwide. The Northern District of Illinois includes the bankruptcy courthouses in Chicago, Joliet, Rockford, Lake County, and Geneva, spanning across 18 Illinois counties. The rate of filings in the Northern District of Illinois outpaced what had previously been the top district for bankruptcy filings: the Central District of California. That district includes the counties of Los Angeles, Riverside, and Orange. Generally, bankruptcy filings have been following a downward trend, decreasing by 8.5% nationwide during the twelve months ending in March 31, 2016, though bankruptcy filings under Chapter 13 are believed to be on the rise. During that recent twelve-month period, there were 47,535 bankruptcy petitions filed in the various courts comprising the Northern District of Illinois. Nearly 844,500 bankruptcy cases were filed across the country in 2015. Average nationwide bankruptcy filing rates have been declining for some time, down some 47% in comparison with the high number of filings in 2010. Roughly a third of all bankruptcies are filed by married couples, meaning that over one million individuals filed for bankruptcy in 2015. Bankruptcy affects a broad swath of the American population, with one in every eight people having filed for bankruptcy at least once. Filings made under Chapter 7 are by far the most common form of bankruptcy petition, accounting for approximately 70% of all filings. Nearly 30% of filings are under Chapter 13, or personal reorganization bankruptcy. Less than 1% are under Chapter 11, a form of bankruptcy typically used for businesses and certain high-worth individuals. If you are facing vast amounts of consumer debt in Illinois and are considering whether a personal bankruptcy filing under Chapter 7 or 13 could be a good choice for you, consult with experienced and knowledgeable Chicago-area bankruptcy attorneys to guide your decision by calling Johnson, Westra, Broecker, Whittaker & Newitt at 630-665-9600.